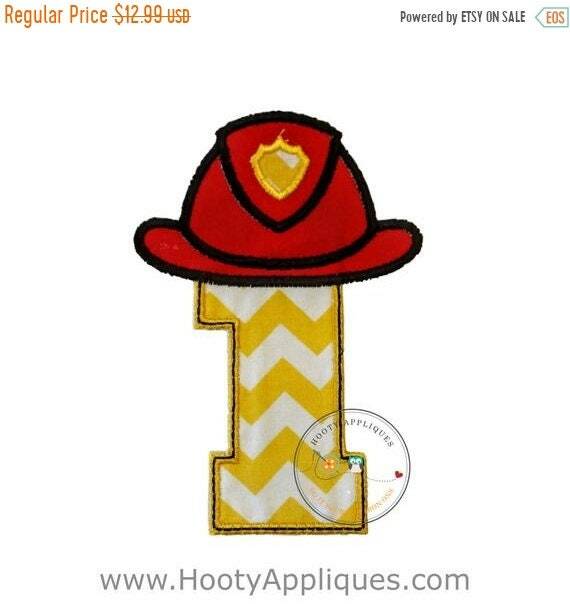 Fireman birthday number one iron on applique. This patch is made with bright yellow and white chevron pattern cotton fabric. It is embellished with a traditional red fireman helmet. Applique is an iron on fabric applique with embroidered details. Love it. Putting it on a baby hoodie.